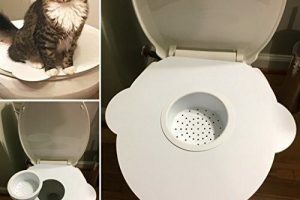 Hassle to clean the balls of yarn and other items played by your cat? Need to stay out of house and sometimes leave your cat alone? 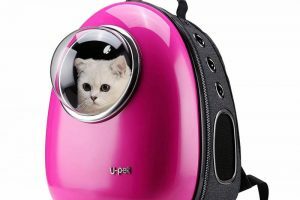 Some cats are bored and want to have some fun with purring things like furniture and leather that is why this Firik kitty cat laser light ball comes to the rescue. Cats can now have fun playing for hours with the ball without creating a mess. Let’s review a Firik interactive cat ball. No need for your cat to play and break things. 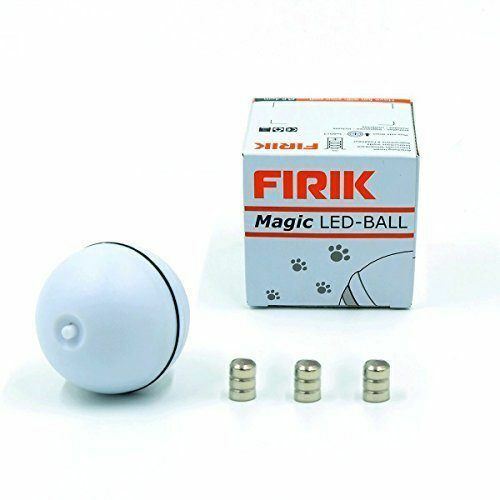 Unlike ordinary balls, this Firik cat laser toy can attract your pet with its interactive laser light. When it gets dark, you will find your cat’s play time more fun to watch. Making your furry pet chase, swat and run the ball toy is like creating an interactive and funny moment for you to remember. 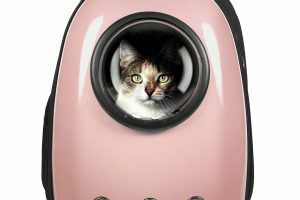 The Firik automatic laser cat toy acts like your purrfect friend’s companion because this can automatically roll and change direction on its own when meeting your cat’s resistance. Even when your pet has friends to play with, they can chase and share the ball together. They did not only do exercise but also they think of how to chase, follow and get the ball. If sometimes you prefer an ordinary ball for a long time, you can just remove the batteries or switch it off. Let’s face it, our little fur babies are a ball of endless energy that needs to express themselves through play and interaction. While it might be a good thing for us, especially when we want to play with them, we really can’t be playful masters all the time right? I have three cats, two kittens and two dogs at home. When it is the weekend, I love nothing more than playing and horsing around with my fur family. But sometimes during the weekdays, when I come home late at night and I am just so tired from work, I want nothing more than to cuddle with them and that is where the problem starts. I want to cuddle, they want to play, and believe it or not, I sometimes feel guilty that I can’t muster the energy to play with them. And if you are a serious pet owner like me, you know how important playtime is for our fur babies’ right? I have scratch posts, laser chasers, chew toys and all kinds of gizmos for my fur family, but they seem to get tired of it easily and once they are bored with it, your hundred dollar investment is nothing more than a thing that takes space and is useless. Then I discovered Firik Interactive Cat Ball. I first saw Firik Interactive Cat Ball being played with at the vets by a kid and I thought, “Hey that’s a cool toy, I bet my cats would love that.” Then I asked and found out that it was a toy for cats and I said, “perfect!” Long story short, two weeks and an online purchase later, I had two Firik Interactive Cat Ball in the house. The ball is more or less 64 millimeters and comes with nine batteries out of the box. It is made out of hard plastic, perfect for being thrown around, played and pawed by our facorite furry friends. Making the Firik Interactive Cat Ball out of hard plastic also saves us from the clean up unlike the errant yarns and felt that you get from yarn balls and chewed up plastic from other pet toys. Some of which can be choking hazards for our babies. Very important to note that the Firik Interactive Cat Ball is CE and RoHS Certified. What does this mean? CE is an abbreviation for “Conformité Européene” which means “European Conformity” and RoHS means “Restriction of Hazardous Substances Directive.” This is important for us dog and cat owners because CE and RoHS certifications mean that the products and playthings we provide for our fur family have little to no hazardous substance in them that can harm our cats and dogs. 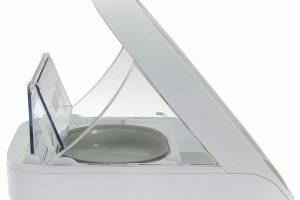 CE means that Firik Interactive Cat Ball meets European standards of manufacturing. 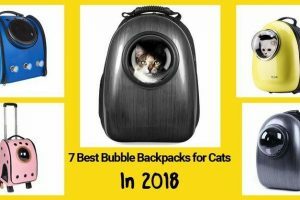 And since it has lights and batteries and our cats and dogs interact with it by licking, biting and chewing on it, the RoHS certification ensures that the electrical and electronic parts on the Firik Interactive Cat Ball are safe and will not harm them. How Does The Firik Interactive Ball Work? The Firik Interactive Cat Ball is very easy to use and easy to set up. You open it in half and insert the batteries that come along with it and you are good to go. There are two play options. You can use it as a common ball. If you want to save up on the battery or if you want to use it as an interactive tool when playing with your cats, you can do that. You can press the lone button at the top and the Firik Interactive Cat Ball light up with soft lasers on the side that my kittens find to be endlessly entertaining. Plus it rolls around on its own giving your cats something to chase and spend their energy on. 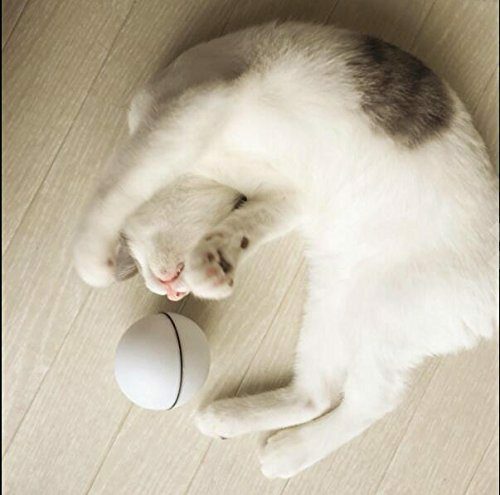 The Firik Interactive Cat Ball will change direction on its own when it senses that it is being touched or pawed. I turn it on in the morning when I go for my usual morning jog so that my cats will have something to play with when I am away. When I come back, I would always find my cats playing and chasing the toys around, that’s almost an hour and a half of constant play and valuable workout for my cats and little kittens. It is a great exercise for them and great for their health because they do not have to spend lazy mornings without exercise. I usually bring my dogs with me when I do my jogging and I play around with them in the park near our home after my run or when I am doing my cool down exercises so I am not too worried about them. My cats are different though before Firik Interactive Cat Ball came I would find them restless and full of energy at night when everybody is sleeping and resting. Now, they get the same amount of exercise and play time as my dogs and I feel that they have a more balanced and relax sleeping and playing time all throughout the day. Worried that the light may blind your cat’s eyes? Actually, this kitty cat laser light is safe and would not hurt the eyes. 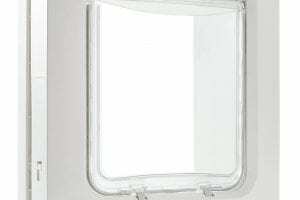 It underwent high inspection and is compliant with CE and RoHS certifications. Because of these, no harmful chemicals were used in making this automatic laser cat toy even it is made of hard plastic. When you buy the product, 9 batteries are already included on the package. The ball’s diameter is 64mm, not too small and not too big for both cats and kittens to play. Here’s a small list of pros and cons of the Firik Interactive Cat Ball and a small discussion on why based on my personal experience with it. I do not really know if it is a good thing, but I listed it as a pro anyway, but the Firik Interactive Cat Ball is highly addictive for your cats. A friend of mine also bought the Firik Interactive Cat Ball and even her cats are also addicted to it. The interactive aspect and the laser aspect of the Firik Interactive Cat Ball seem to trigger the hunting psyche of our cats and their playful nature at the same time. Firik Interactive Cat Ball is fun and entertaining not just for our pets but also for us owners. One of my favorite past times now is to turn off half the lights in the den and turn on the ball and watch my little darlings play with it all night while I sit back and drink wine or beer. It is so entertaining and fun to watch them that my girlfriend and I fall asleep sometimes on the couch watching them fiddle and play with the Firik Interactive Cat Ball. The Firik Interactive Cat Ball laser is easy on the eyes and provides a warm glow in the dark that is weirdly entertaining and fun to look at. My nieces also love to play with the Firik Interactive Cat Ball when they come by the house and would spend countless hours on the porch with the cats playing with them. One of my first fears when I bought the Firik Interactive Cat Ball, was that it would be too big and too bright for my kittens. Like I mentioned, I have two kittens at home, but to be honest, the kittens were the first to warm up to them. My cats would not touch the Firik Interactive Cat Ball in the first days or would paw at it with suspect. The kittens were a bit different though, they jumped at the Firik Interactive Cat Ball the first moment I threw it at them and owned them exclusively for the first couple of days before the cats joined in. The price at less than $20 dollars, is nothing short of amazing. The price is easily justified by its usage and what comes with the box. It has 9 batteries that in itself shaves off a big part of the price. The joy and fun, health benefits and exercise that it brings to our fur babies are priceless. Since it is highly addicting and entertaining, the batteries would drain out of my Firik Interactive Cat Ball a lot. I don’t change it daily though, but since I have a lot of furry friends that play around with the Firik Interactive Cat Ball, the batteries do pile up. 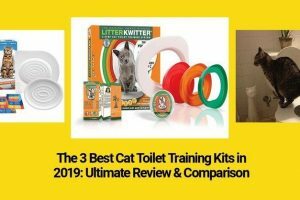 Although you can still use the Firik Interactive Cat Balls without the batteries, I am a spoiler and I want my cats, dogs, and nieces spoiled so I always keep extra batteries at home exclusively for them. Like I said, I am a spoiler, so when I first mentioned above that I purchased two Firik Interactive Cat Balls, I meant to say that I started with two. Now, I have seven Firik Interactive Cat Balls at home. I found out quickly that the Firik Interactive Cat Balls are so addictive, entertaining and fun for my cats that even my dog’s wants in on the action.So I bought each of them one, so they can have their own toys. 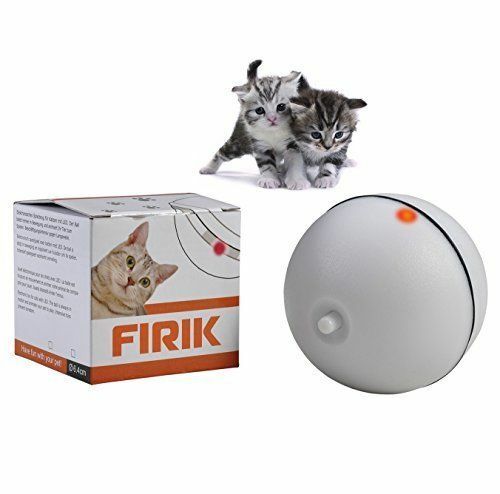 Now the kittens play in the corner with their own Firik Interactive Cat Balls, while the bigger cats and dogs play in the center with their Firik Interactive Cat Balls. Why the extra two Firik Interactive Cat Balls? Like I said, even my nieces play with them when they come over so I bought two more Firik Interactive Cat Balls so I can have them handy for my nieces when they play with the cats and dogs when they come over. Everybody wants a piece of the Firik Interactive Cat Ball in my household. I do not know if it is just me but I sometimes find myself spending way too much time amusingly looking at my cats and dogs play. I look at them and watch them play without knowing that two or three hours have passed and its 1 o’clock in the morning already and I have to hurry to bed. Or sometimes, I wake up at night and notice that a kitten or a cat is still playing with the Firik Interactive Cat Ball, and I get up and play with them and then I find myself half-way sleepy at my cubicle at work the next morning because of it. It is a funny problem to have though so I would not be surprised if I am the only one who would list this as a con for Firik Interactive Cat Ball. If this glaring review of Firik Interactive Cat Ball is not obvious yet, yes I thoroughly enjoyed my experience with it. If my cats can talk, I am sure they would say the same thing as well as my dogs. In the end, it is very evident that the Firik Interactive Cat Ball is not just for my cats, my fur family loved it as well as my real family. The fact that Firik Interactive Cat Ball helps balance the fun and exercise in my feline friends lives is not just the basic benefit that they get, they also get to socialize and build a stronger and more welcoming attitude towards one another as well as the dogs and my nieces is a welcome bonus to say the least. I can’t see anything wrong or how they can improve the product more, it is already a great combination of a little bit of everything that I want and love for my little babies. Play with this cat laser toy and develop your bond more with your cat. Encourage healthy lifestyle by incorporating diet, exercise and fun in your cat. This toy might also help your cat to interact more with fellow feline friends.